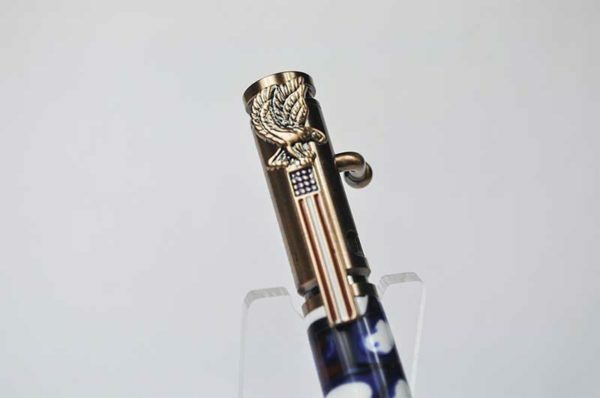 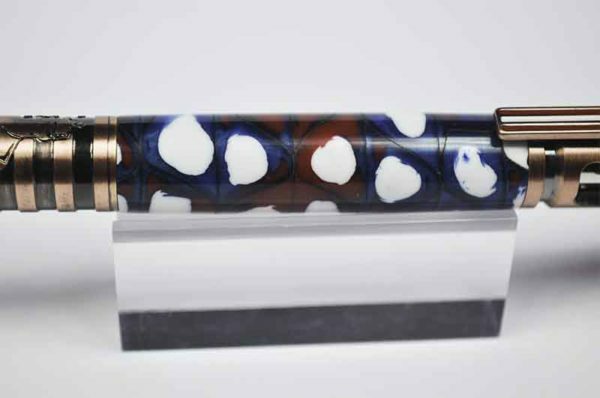 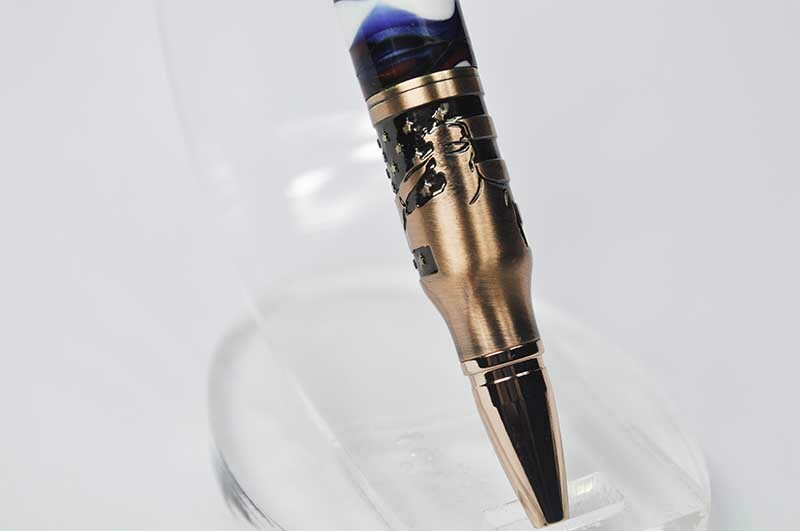 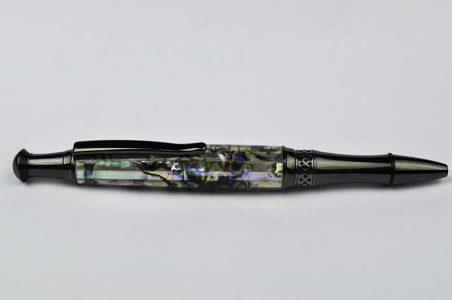 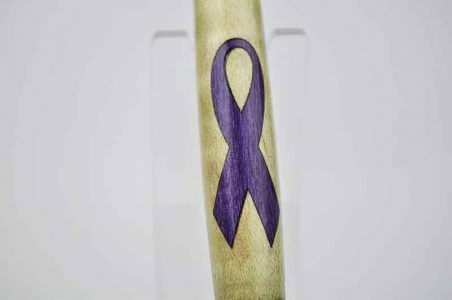 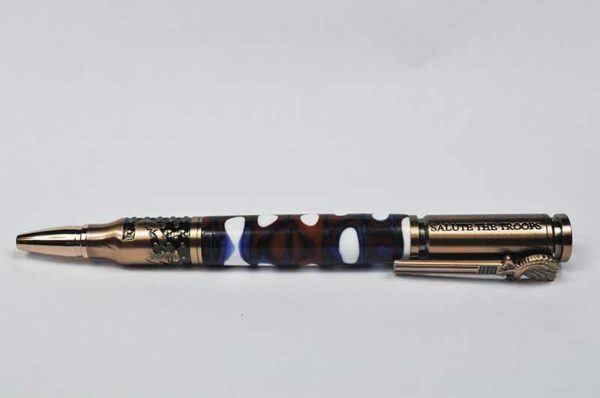 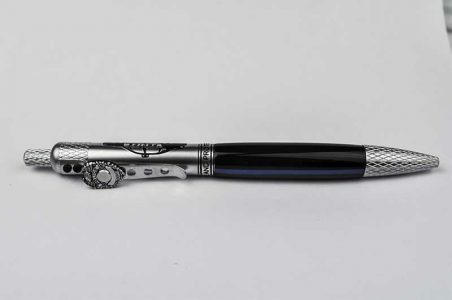 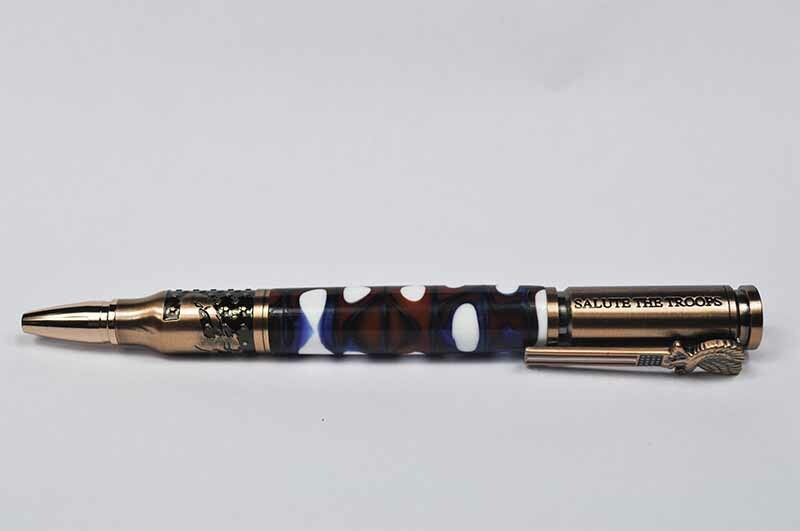 This pen is the perfect gift for anyone who wants to pay tribute to our military. 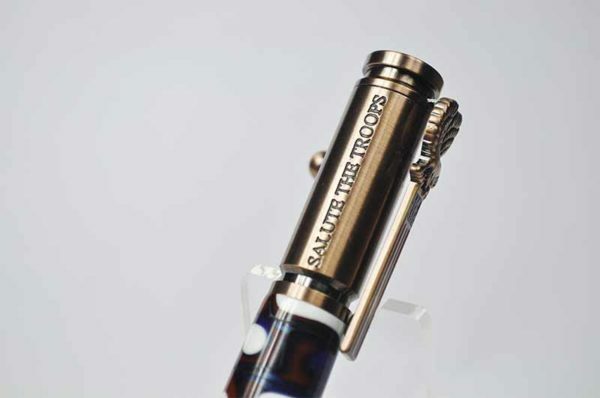 It features an etched engraving of a saluting serviceman, the American Flag on the tip and SALUTE THE TROOPS stamped on the cap end. The patriotic theme continues on the pen clip which features a red, white and blue American Flag and a majestic Bald Eagle emblem. 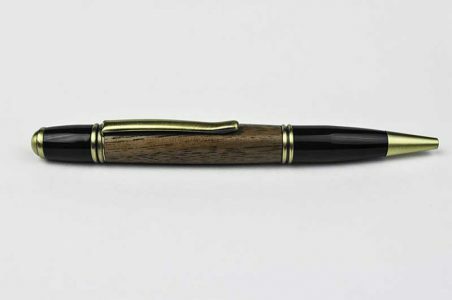 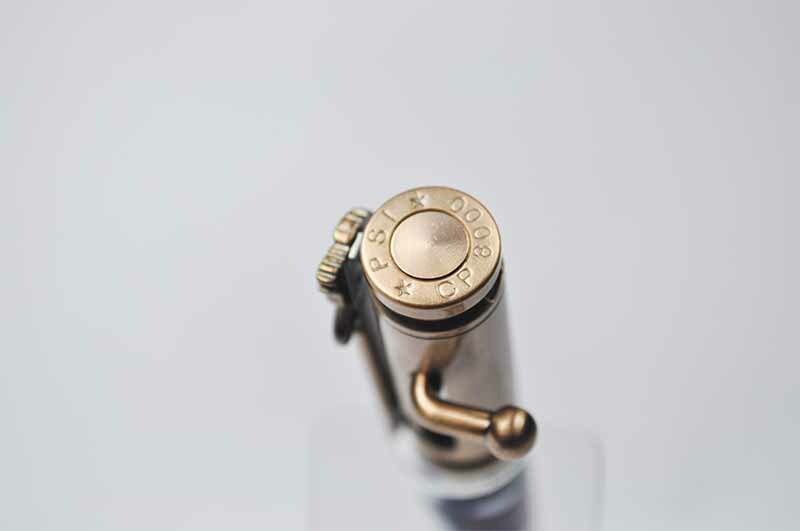 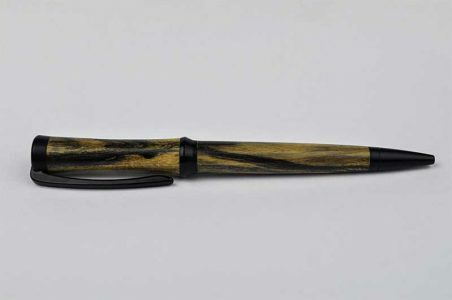 This pen operates with a bolt action mechanism. 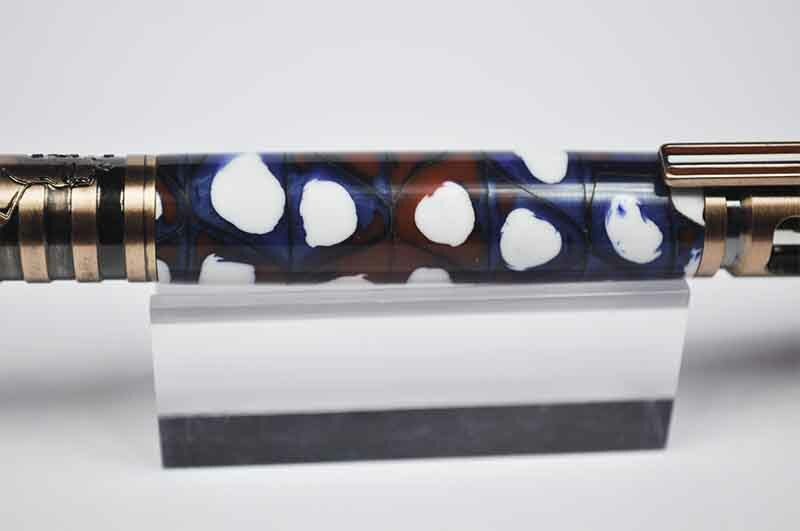 It is beautifully designed with Antique Copper and a red, white and blue body.